September 8, 2015 – Aerojet Rocketdyne Holdings Inc. submitted a $2 billion cash offer to buy United Launch Alliance (ULA), a satellite launch provider jointly held by Lockheed Martin Corp. and Boeing Co., sources familiar with the matter said Tuesday, a deal that would further consolidate the space business. Aerojet Rocketdyne spokesman Glenn Mahone said the company would not comment on any negotiations with any company. Lockheed and Boeing declined comment. No immediate comment was available from ULA. If successful, the deal would create a new large firm that builds both rockets and rocket engines. 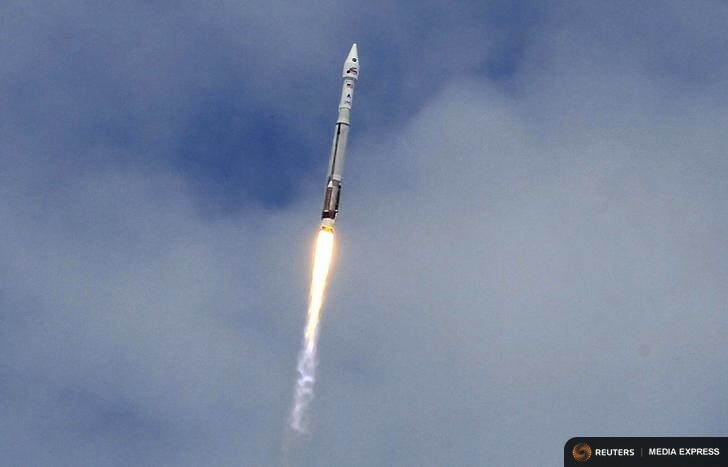 This follows February’s merger of Orbital Sciences, a rocket builder, and enginemaker ATK to create Orbital ATK. Aerojet, which acquired Pratt & Whitney Rocketdyne in June 2013, would likely operate ULA as a separate unit, said one of the sources, who said former NASA Administrator Michael Griffin could be tapped to lead the unit. ULA was created in 2006 after nearly two years of negotiations between Lockheed and Boeing, which overcame opposition from the Federal Trade Commission by arguing the venture would result in significant savings. The venture has carried out 99 successful launches since its creation, but it has faced mounting political and financial pressures given a decline in expected U.S. government launches, and the rise of a competitor, privately held Space Exploration Technologies Corp, or SpaceX, founded by entrepreneur Elon Musk. The Air Force this year certified SpaceX to compete with ULA for launches of certain military and spy satellites and said it would also phase out about $1 billion in launch support that it had provided to ULA for years. ULA says its ability to compete with SpaceX will be impaired by a congressional ban on continued use of Russian-built RD-180 rocket engines for its Atlas 5 rocket that was imposed after Russia’s invasion of the Crimea region of Ukraine. The acquisition would provide a key boost for Aerojet Rocketdyne, which makes rocket engines, but had been rebuffed in its efforts to adapt its new AR-1 engine for use on ULA’s Atlas 5 rocket instead of the RD-180 engine it now uses. ULA’s current plan is to build a new rocket that would be powered by an engine being developed by Blue Origin, owned by Amazon.com founder Jeff Bezos. Two of the sources said ULA’s owners would likely welcome the unsolicited bid, given increased competition that could cut into ULA’s already marginal revenues and earnings in coming years. Pentagon officials also need to vet the deal, but were likely to embrace it, as long as Aerojet Rocketdyne agreed to invest in development of new technologies, the sources said. Lockheed and Boeing, wary of declining revenue prospects, have funded ULA’s work on the new rocket only on a quarterly basis, given concerns about ULA’s ability to use existing RD-180 engines for military and spy satellite launches. Top Lockheed executives in February said ULA’s future looked positive given its existing backlog but they were keeping a close eye on the evolving rocket launch market, and regularly reviewed all ventures.